Every industry has its own standards for safety and security. These documents ensure that everything from buildings to playgrounds are designed and constructed using standardized regulations. It is possible for a knowledgeable attorney to establish negligence by showing an entity breached the published industry standards and caused an injury. At Kraft Davies, PLLC, our Seattle safety violation attorneys have a thorough understanding of the accepted standards for a wide range of industries. If you or a loved one suffered an injury, we can examine the accident to determine if it could have been prevented by an industry adhering to the proper standards for safety and security. Industry standards and safety codes are issued by private bodies. As such, they do not typically have the force of law, but these codes detail how a safe piece of equipment, structure or facility must be built. 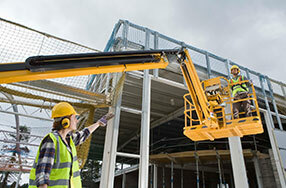 The construction industry must follow construction safety standards. Boat manufacturers and operators must follow the maritime design standards. Often, these standards will describe lot security, potential safety issues, proper floor surfaces and a multitude of other areas involved in all aspects of design, manufacture and construction. Many times, small details such as the height of and material used in ladder rungs will be detailed in the published standards. Two common industry standards our firm uses when developing a case are published by ANSI and ASTM, although the body publishing the standard depends upon the condition in issue. "The Institute oversees the creation, promulgation and use of thousands of norms and guidelines that directly impact businesses in nearly every sector: from acoustical devices to construction equipment, from dairy and livestock production to energy distribution, and many more. ANSI is also actively engaged in accrediting programs that assess conformance to standards – including globally recognized cross-sector programs such as the ISO 9000 (quality) and ISO 14000 (environmental) management systems." — From the ANSI. "ASTM International, formerly known as the American Society for Testing and Materials (ASTM), is a globally recognized leader in the development and delivery of international voluntary consensus standards. Today, some 12,000 ASTM standards are used around the world to improve product quality, enhance safety, facilitate market access and trade, and build consumer confidence." — From the ASTM. Do not hesitate to contact our firm for a more detailed discussion of how these safety standards might have been ignored in your situation and caused a serious accident. For more information or to schedule an appointment with an experienced lawyer regarding industry standards for safety and security, please contact us.